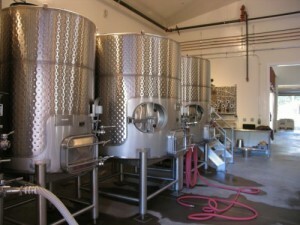 Jericho Canyon Winery is located off of the narrow Old Lawley Toll Road on the flanks of Mt. St. Helena in the northern reaches of the Napa Valley. The property sits in the shadow of the Palisades which are unique rock outcroppings that line the ridge for several miles. This was the only toll road in the area during the days of the nearby Quick Silver mines for which Robert Louis Stevenson made famous in his book Silverado Squatters. The property was originally part of a land grant given to a Civil War veteran and evidence shows that several sections near Jericho Creek (which runs through the lower part of their property) were planted to vineyards many years ago. 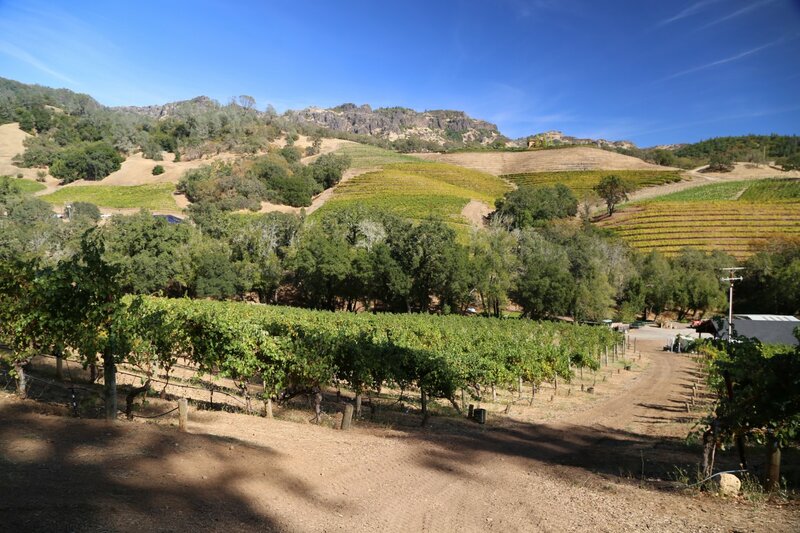 Sometimes properties ‘speak’ to you in the Napa Valley for a variety of reasons but mostly relating to the natural beauty and views; this is certainly one of these rare pieces of land indeed. It is “hidden” from the rest of the valley, it is rugged terrain and the work here does not come easily. 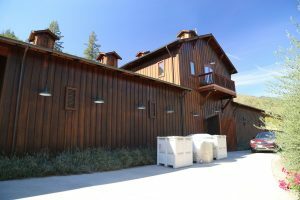 Owners, Dale and Marla Bleecher purchased this property in 1989 with the foresight (but not yet the knowledge that comes with growing grapes and making wine). They took classes, learned by doing in the vineyards and built this into what you see today with years of hard work. Incidentally both met each other while living in Italy (when you get to know Dale, you realize his love of travel is never far from the surface) – and were already quite familiar with hillside vineyards by the time they moved to the Napa Valley. 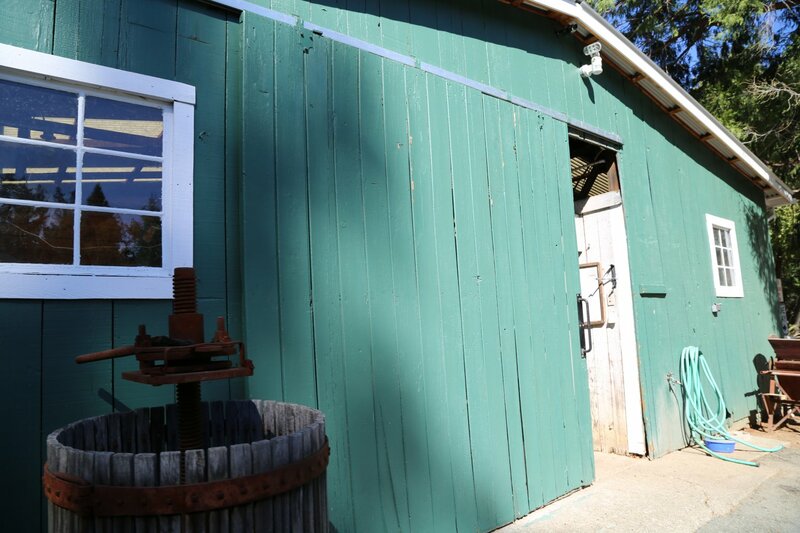 Their children grew up on this “ranch” and after a number of years as assistant winemaker, their son Nick is currently the head winemaker (with degrees in viticulture, oenology, and economics from the University of California, Davis). 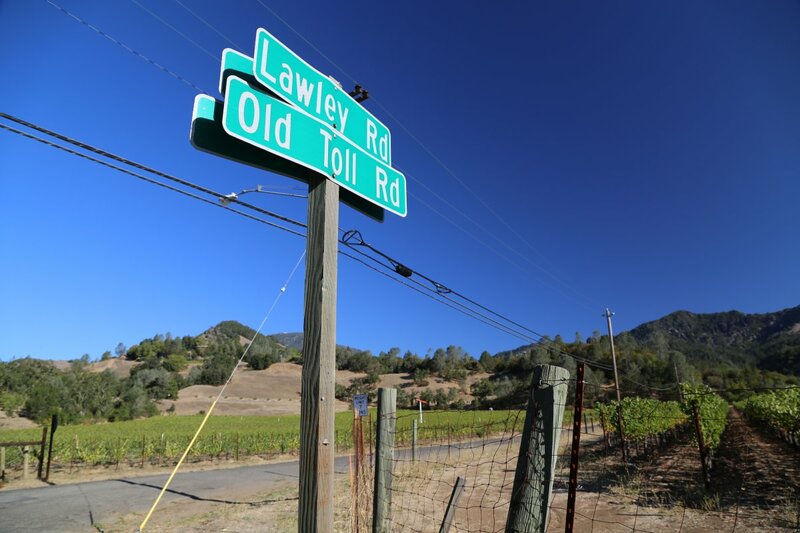 This is in a rugged part of the Northern Napa Valley (not on the valley floor) and as a result flat land on the property is at a premium. 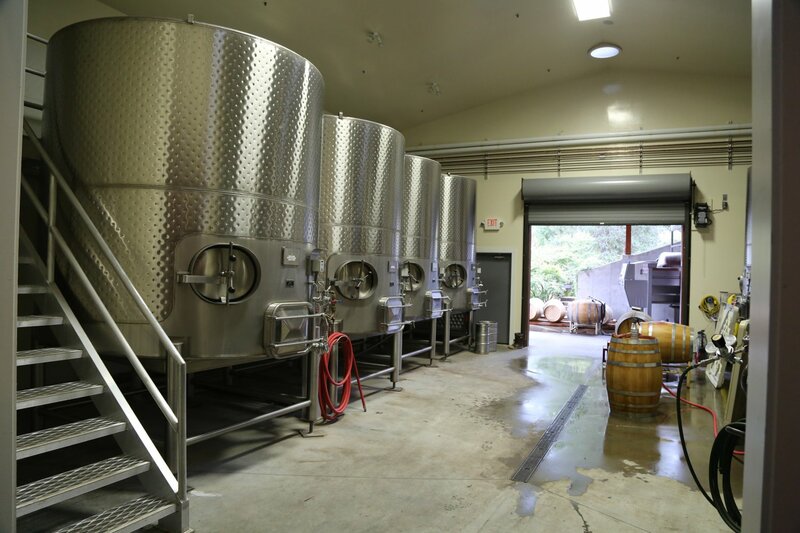 In fact their winery sits on about the flattest part of the property as all their vineyards are located on at times extremely steep hillsides. Maintaining the vines on such steep hillsides requires an incredible amount of manual labor – there are no tractors on these slopes! Their vineyards are surrounded by steep forested hillsides. 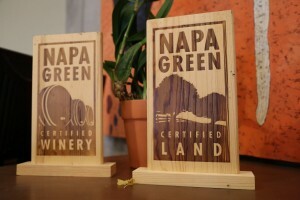 The Napa Valley is known for dramatic diurnal differnces in temperature between day and night and there is no where in the valley where this is more pronounced then in Calistoga. 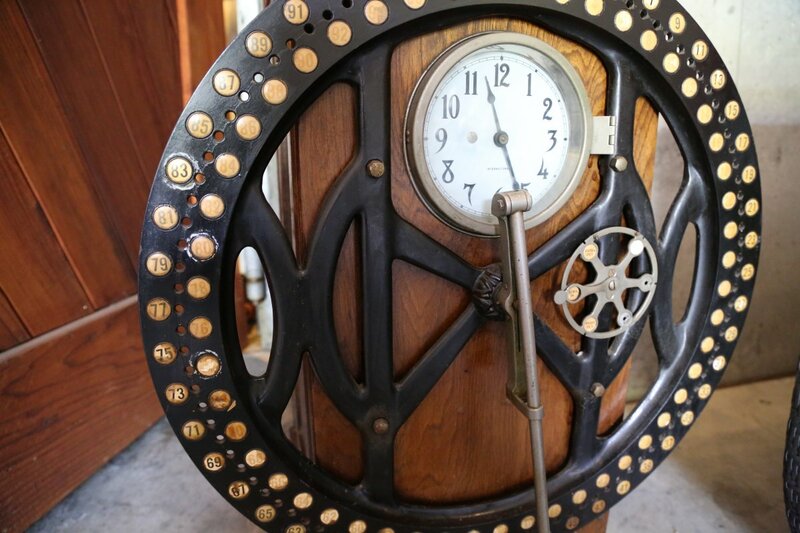 On this property in the summer and into the early Fall – it is not uncommon to see temperature swings of 40 to 50 degrees Fahrenheit over a span of 12 hours. The Bleecher family farms as sustainably as possible using permanent cover crops and refraining from using pesticides. 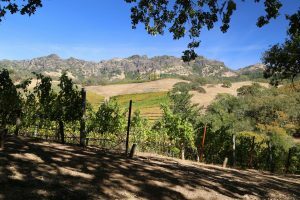 For many years prior to holding some of the grapes back for themselves, Jericho Canyon sold all their fruit to other premium Napa wineries including Chateau Montelena, Sterling Vineyards & Rudd. The winery was built well after the vineyards were established; initially it was first used for the 2006 harvest. 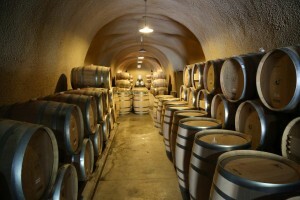 The winery itself is directly connected to spacious caves – (several other other client wines are made here in addition to their own). Parts of their cave were drilled through solid rock – the end of the main cavern was left unsealed so you can see just how thick this rock is. Also note the olives that grow on the property – these are not just for decoration. Jericho’s total production is rather small focusing on several red wines (all estate) including a premium Bordeaux based blend Cabernet Sauvignon. 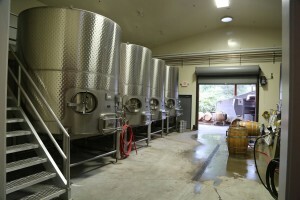 Their one white wine is a Sauvignon Blanc – also grown on site. 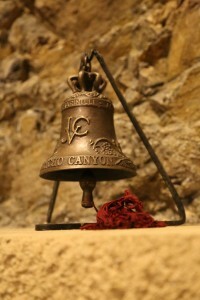 This is a winery that places a lot of attention to detail both in the vineyards and in their wine making. Here is an example: when much of one of their hillsides were infected by a leaf virus they pulled out all the vines and replanted. This virus is actually quite common in the wine country – characterized by leaves turning red prematurely. 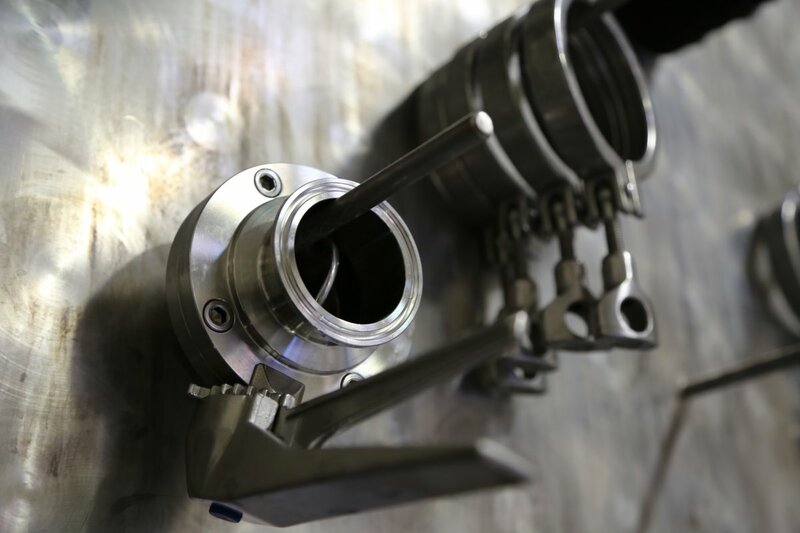 They noticed this was affecting the aromas and flavor of the final product and quickly took action. 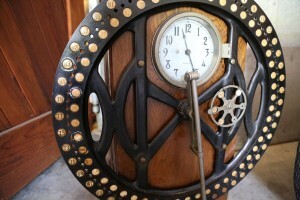 They have planted a large number of varietals and in the future may even offer additional wines. Certain blocks in the vineyards are hand picked based on specific parts of the property. During our first visit to the property, a number of years ago – we tried several barrel samples in their caves of these blocks, each of which potentially could have been used in their final Cabernet Sauvignon blend (2005 was their first commercial release). It is interesting to note the differences in taste and structure of these potential blends. 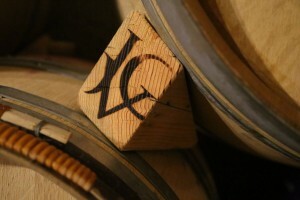 As a common thread, these barrel samples all featured layered fruit with good tannin structure. The 2012 Jericho Cabernet Sauvignon shows pretty notes of blackberry on the bouquet and as it opens more floral notes show including aromas of violets. The palate shows deep, darker fruit flavors including blackberry and plum. A sweetness of fruit is also perceptible. The tannins are dusty, earthy like and linger nicely for some time. Very smooth mouth feel. Dale oversees a sizable ranch near the small town of Galt located in Sacramento County (California’s Central Valley). The family has planted over 30,000 native valley oak, coyote bush, wild rose, elderberry, and cottonwood trees on what they call the Dry Creek Ranch (a number of seasonal vernal pools are also located on this ranch). The 2011 Restoration Merlot is appropriately named in honor of their work re-introducing native vegetation back to their ranch. This 100% varietal wine shows pretty aromas including blackberry, red licorice. It is a very layered Merlot on the palate with a strong backbone – earthy tannins last for some time along with a nice ref fruit component on the finish. The 2009 Jericho Canyon Cabernet Sauvignon shows a very elegant bouquet with darker fruits complemented by dessert spices including cardamom. Time has been kind to this wine – softening the tannins – at the time of our tasting is is very approachable with a pleasing silky quality across the palate. 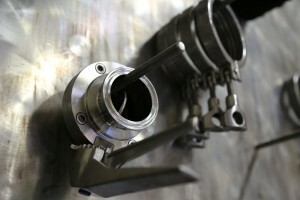 The wine is seamless now between fruit, acidity and structure. 2009 was a big vintage – and was for this wine as well in its youth. Notes of dark chocolate show on the finish with supple well-integrated tannins. 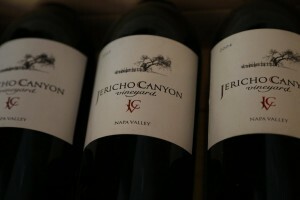 The 2010 Jericho Canyon Cabernet Sauvignon has a very noticeable meaty and savory quality to the bouquet. Nick calls the bouquet almost sinister in its presentation – it is layered with notes of sweaty saddle leather and mushroom. Dark and deep. 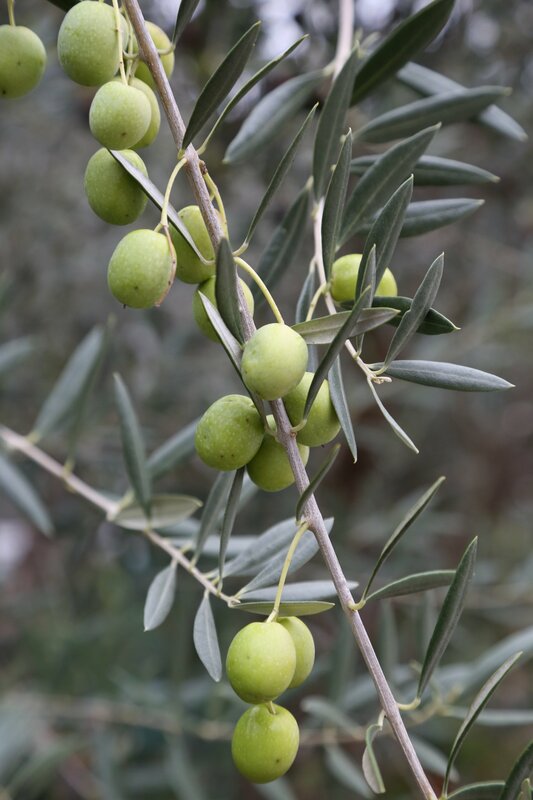 Give it time to open and it reveals more fruit rather then the meaty quality – along with dessert spices. Dark fruit shows on the palate – along with some qualities of the bouquet. Shows mouth watering acidity. A wine we gravitate towards because of its uniqueness compared to the other vintages. The 2011 vintage was a challenging year for growing grapes in the Napa Valley due to late rains, early rains during harvest and generally foggy and rainy conditions at times. The vintage was panned by critics but not all of the valley was affected the same way. Some of the hillside sides especially on the eastern side of the valley fared much better then conditions on the valley floor. 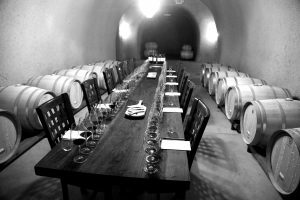 Micro-climates also had plenty to do with the quality of this vintage. More Bordeauxesque in its presentation – in general we found the Napa wines from this vintage somewhat tight upon release but after 5 to 6 years, they began to show wonderfully. 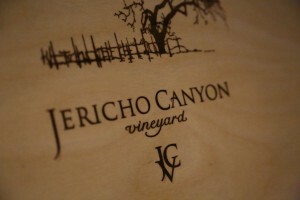 Nick mentioned this wine is often the favorite of Jericho Canyon enthusiasts when presented in blind tastings. The 2011 Jericho Canyon Cabernet Sauvignon shows an elegant bouquet, a pretty presentation of subtle herbal notes (jalapeno), cigar smoke and desert spices – given time to breath more fruit shows. Very balanced shows more red fruit on the palate then dark fruit with mouth watering acidity. Polished somewhat drying tannins. A very food friendly wine. The 2012 Jericho Canyon Cabernet Sauvignon is the first year in the vertical where the bouquet shows a bit riper (a younger wine then the previous vintages, but also the first vintage they started doing extended maceration). Shows berry aromas, blueberry, blackberry and raspberry with nuances of dry gravel. Still shows young on the palate finishing with somewhat gritty slightly chewy tannins. Long finish. The 2013 Jericho Canyon Cabernet Sauvignon – one of Napa’s more recent ‘big’ vintages – reveals a wine wrapped up in powerhouse showing big aromatics, fruit, structure and finish. Is mostly dark fruit aromas on the bouquet, with plum and dark cherry complemented by a cassis sweetness. On the palate reveals flavors of blackberry and boysenberry. This wine has lots of life ahead of it – mouth filling fruit with robust chewy tannins. A bit of oak spice lingers on the powerful and long finish. The 2014 Jericho Canyon Cabernet Sauvignon has a few similar characteristics on the bouquet as the 2101 – slightly meaty and savory it is a well layered aromatically featuring darker fruits. Still somewhat closed on the bouquet – needs time to open. Good acidity. A big wine with course somewhat gripping tannins and wood spice on the finish. Great candidate for pairing with a well-marbled steak. While the focus is on select red wines, Jericho Canyon also produces an estate rosé made from Cabernet Sauvignon, Cabernet Franc, Merlot and Petit Verdot. Dale enjoys a rosé – but prior to making this wine, he made it clear he wanted a rosé that was fermented to dryness and without any bitterness on the finish. And a special wine extremely limited wine that is only made during stand-out vintages, the Solair combines one barrel from vines growing on their lower bench-land soils with a barrel produced from vines in their upper rocky terraces. Visits are typically with a family member or a friend of the family and include a walk through the vines to a scenic lookout. 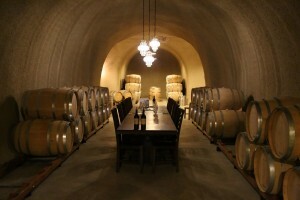 For a more intimate tour of their vineyards, not to mention stunning views of Mt. St. Helena and the rocky palisades which tower in the distance – consider a tour in a Polaris ATV (seats 5 passengers). During the tour you will stop and see the iconic tree that was used for the image on all their wines. Reservations are required.